The debut album from the Ushaw Ensemble, featuring the ‘St. Cuthbert Suite’ and the Sound of Achill composed by Paul Edis, performed by Paul Edis (piano/MD) Andy May (Northumbrian pipes) Graham Hardy (trumpet/flugel) Emma Fisk (violin) Graeme Wilson (tenor sax/bass clarinet/flute) Rob Walker (drums/percussion) and Paul Susans (double bass). Vasilis Xenopoulos and Paul Edis have been playing as a duo and in bands since 2005. In 2017 they released a duo recording featuring a mix of classics from the Great American Songbook alongside original compositions. A double disk of Paul’s solo piano recordings to date including repertoire drawn from jazz, folk and contemporary classical influences. 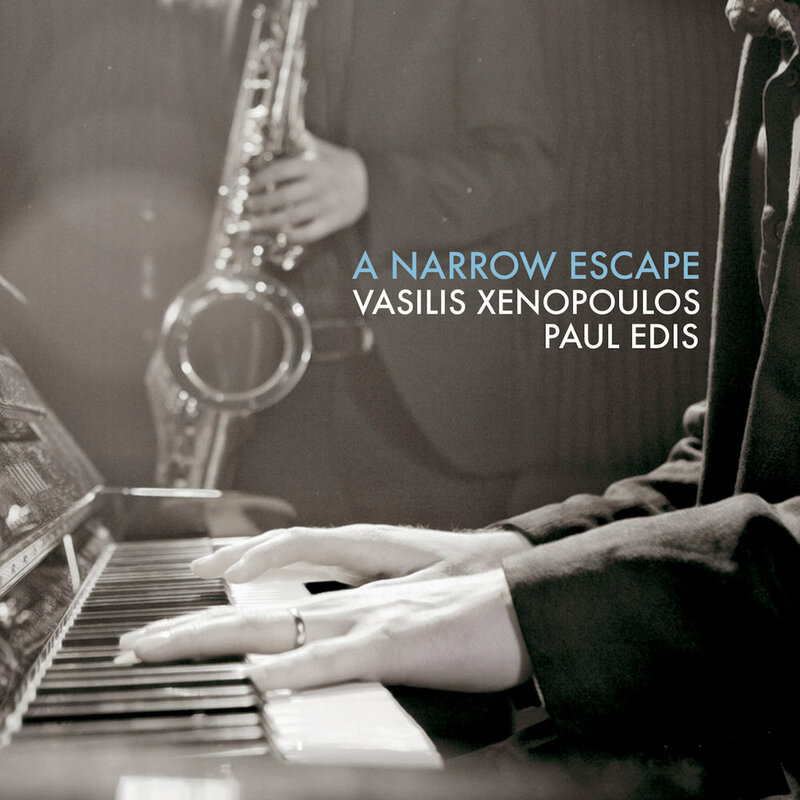 The second album of original compositions from the Paul Edis Sextet with artwork from Alastair Graham. The debut album from the Paul Edis Sextet - released on the JazzAction label featuring original compositions from Paul Edis. Jazz writer and broadcaster Alyn Shipton voted this his 3rd favourite album of 2012 writing for Jazzwise (just being Courtney Pine and Brad Mehldau! ).